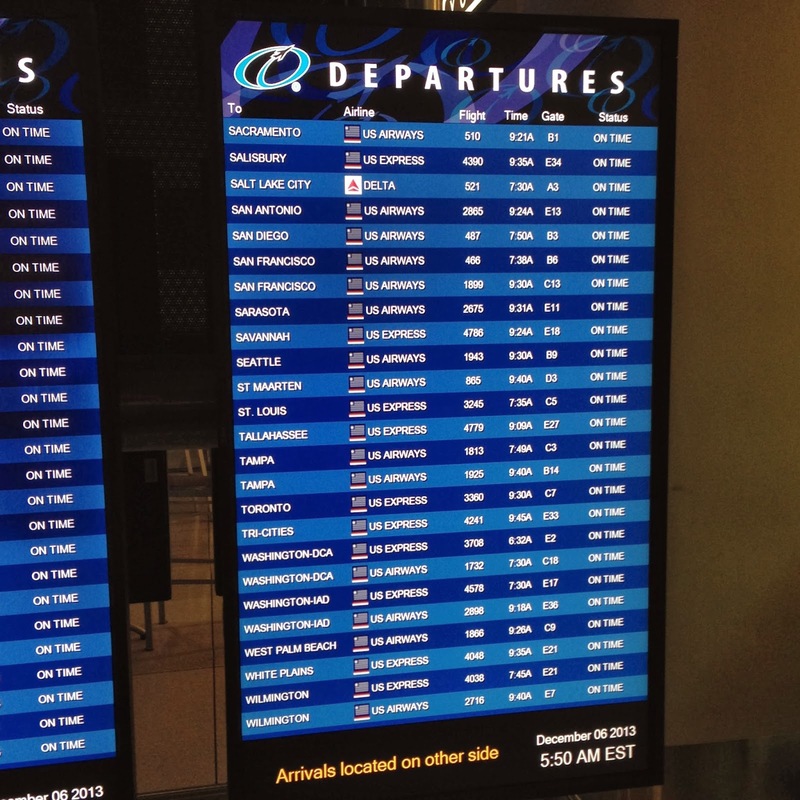 On Friday morning, I woke up a little before 5AM and made the short trip from downtown Charlotte to the airport (CLT). 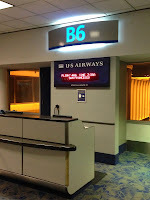 I managed to travel enough in my two years at Siemens to learn how to be an efficient traveler; specifically knowing which security lines are less busy and being able to spot who not to get behind in line. 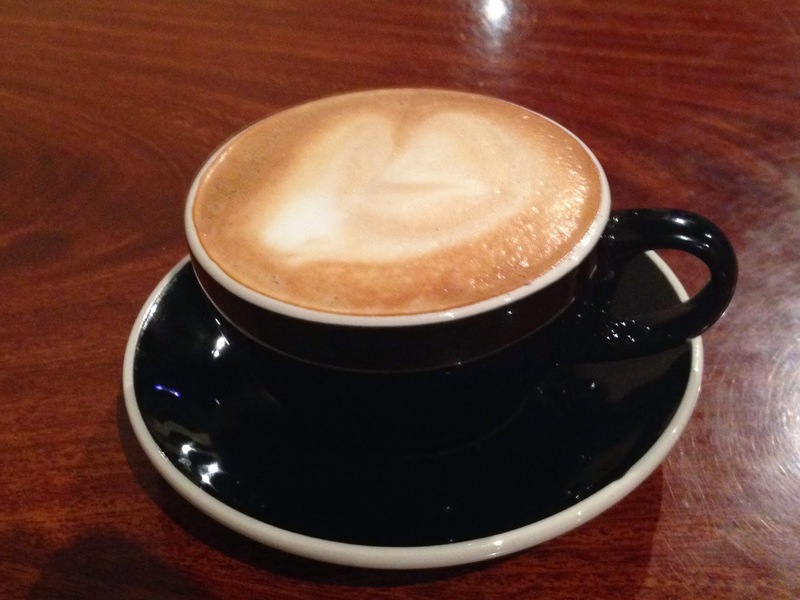 After making my way through security, I found some coffee and then headed toward my gate. I made sure to hydrate while on the plane and while the flight attendant wouldn’t give me a large bottle of water she was accommodating in that she filled up my cup a few times while she made her way past. She later remarked, “I should’ve just given you the bottle.” What can I say? I was parched. 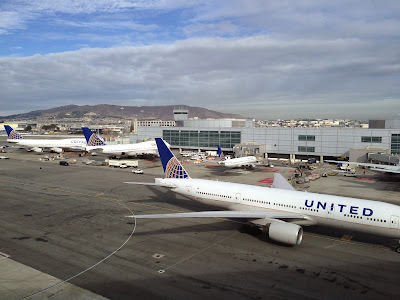 For some reason, I had the idea in my head that the flight was only five hours but in actuality it was closer to six with us leaving around 7:30 AM (EST) and arriving in San Francisco a little before 10:30 AM (PST) with a three the hour time difference. Pretty darn long the morning before a race! However, I managed to use the flight to be productive and knocked out my pre-race post as well finish an assignment for school. Upon arriving at the North Face store on Post Street, I followed the signs for packet pickup, which was efficient and painless as usual. I think I spent all of 10 minutes from the time I entered to the store to when I left. The packet pickup was on the upper level of the store and had three tables. 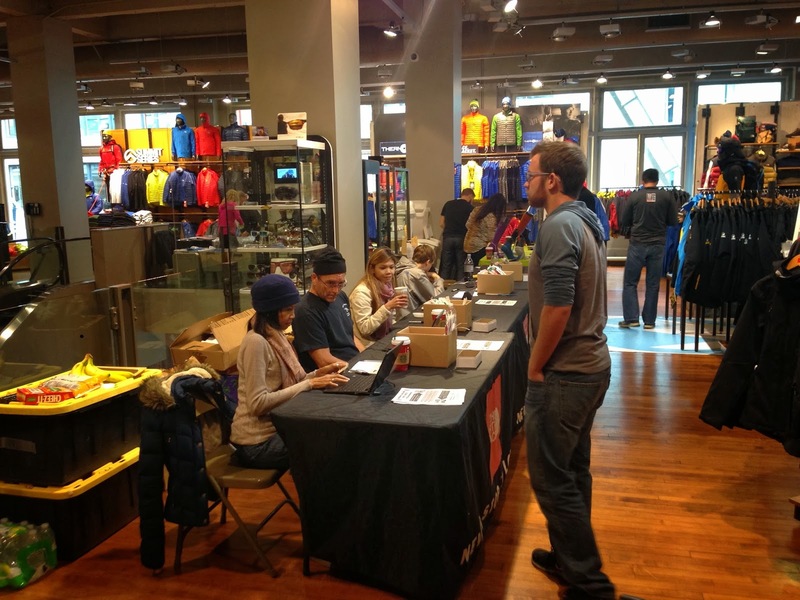 First, you checked in at the table in photo below below (left) and picked up your race bib. Next, you headed to the two folks in photo below with their backs turned in the photo (left) these folks were from Smartwool and provided us with an awesome pair of their PhD run socks! Super nice! Finally, I headed over to the table (below right) where they explained the process of silkscreening the race shirts at the race, which I think usually throws everyone off because they expect to leave the store with their race shirt. 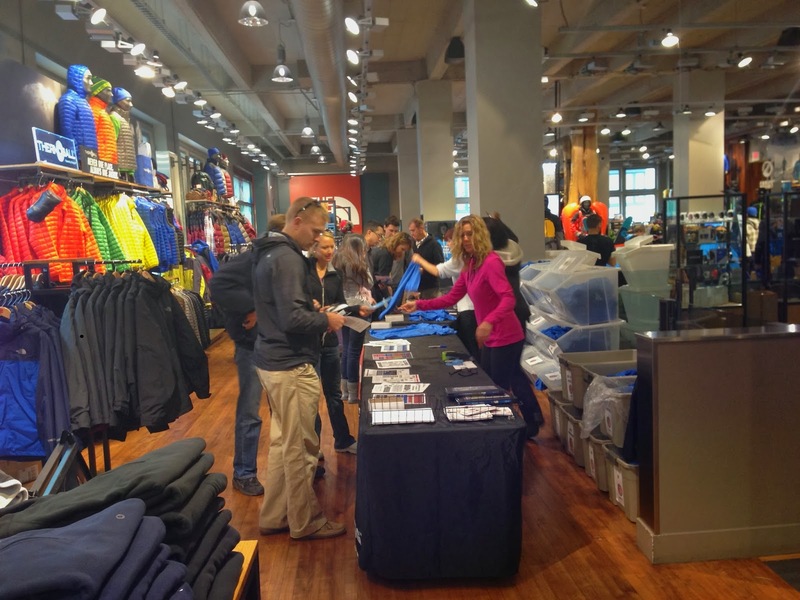 To be honest, I was thrown off by this the first time I went to a North Face packet pick-up but after seeing how awesome the shirts turn out, two times now, the process definitely works! I noticed this wall on my way out of the store and decided I had to stop and take a photo, too cool! As North Face athletes visit the store they sign this wall. 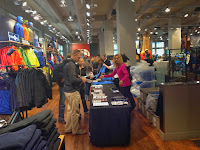 Later in the evening, the store would host an athlete panel with North Face athletes Dean Karnazes and eventual winner of the 50 mile race, Rob Krar. 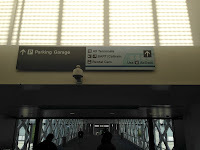 Post packet pick up, I made another short walk to National rental car, albeit the wrong National location but they were able to get it sorted out and just move my rental from the location a few blocks over. With the rental car secured, I began the very short, distance wise, drive over to the pier 33(1.9 miles and ~30 minutes later) and found possibly the most expensive parking in San Francisco. I knew this going into the situation but the convenience of having somewhere to put my bag was worth the cost. 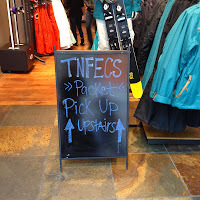 Additionally, I was able to make several trips back tot the car while I waited for my boarding time to grab an extra layer (wise choice) and remove some of the extra stuff from my bag. I arrived with plenty of time to spare as the 1:10 tour over to the island was boarding and spent the remaining time until my tour left checking out this giant model of Alcatraz and reading about its history. 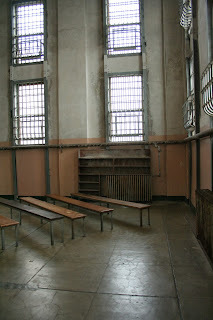 Book your Alcatraz Cruise tickets early. 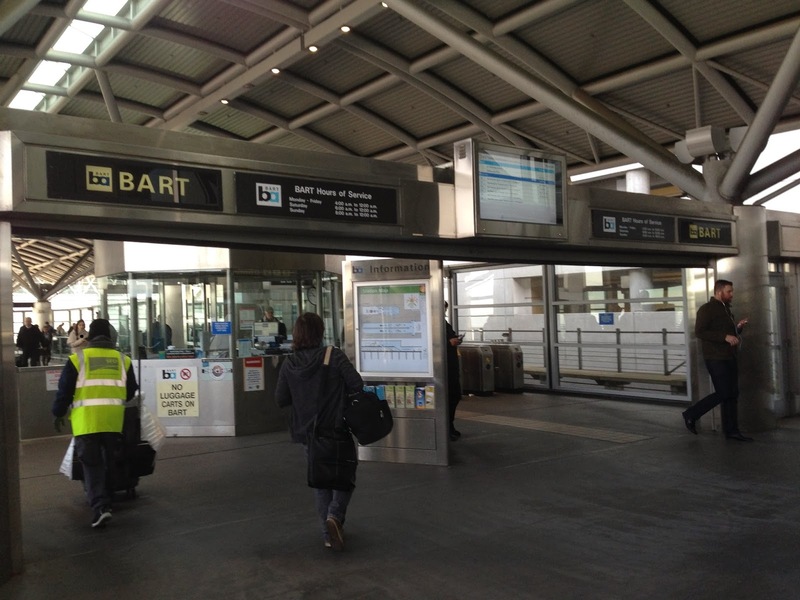 Use public transit in the city or be prepared to pay for parking near the pier ($35). Allow 2.5-3 hours for the entire venture, including the ferry ride over to the island (~10 minutes each way). Once boarded, we were given a mandatory safety briefing and then made the sort jaunt from the pier over to Alcatraz Island. The trip provided for some awesome pictures of both the island as well as the Golden Gate Bridge. I opted to ride over on the front of the boat but for those less brave you could stay warm and toasty inside. Once on the island, you have several different options including doing your own thing (i.e. wandering around) or following one of the guided tours. I had missed the last guided tour of the day, although I did catch a small bit of their talk, which meant I was on my own and honestly I don’t think I missed much. I think the main attraction for most folks, myself included, is the cell house that served as a maximum security federal prison from 1934-1963 and housed notorious criminals Al Capone and Robert Stroud “the Birdman of Alcatraz”. 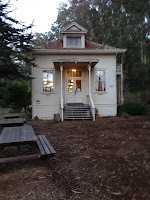 The cell house tour is an audio-tour that is part of your entry fee/ferry ride and was totally awesome! 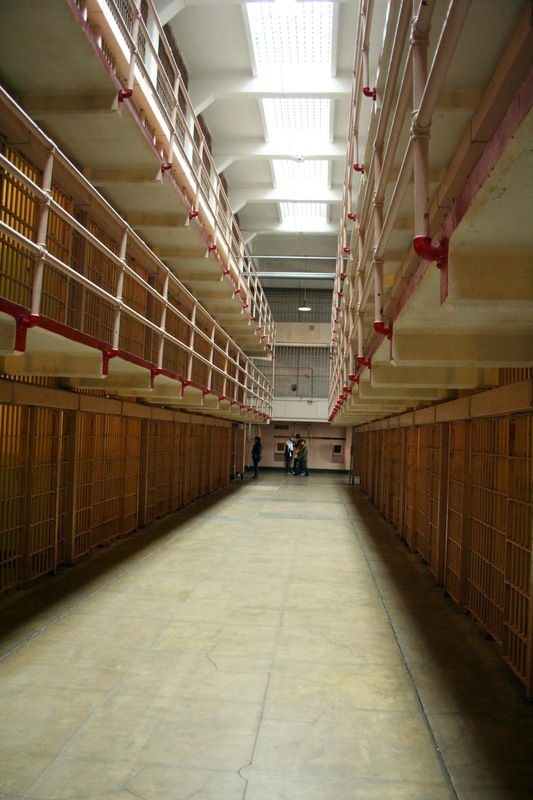 The audio tour is narrated by both former inmates as well as former prison officers and did a phenomenal job walking you through the building multiple times without coming off as cheesy. "Michigan Avenue" The row of cells with a view of San Francisco. The library looking out toward "Michigan Avenue"
One of the really neat things about being on the island was the opportunity to take photos of the Golden Gate Bridge. Just a really neat perspective! Before I boarded the ferry back to San Francisco, I asked one of the folks who worked on the island (and lived in the city) for a recommendation on good Italian food and he pointed me in the direction of Columbus Avenue where he said pretty much everything is good. 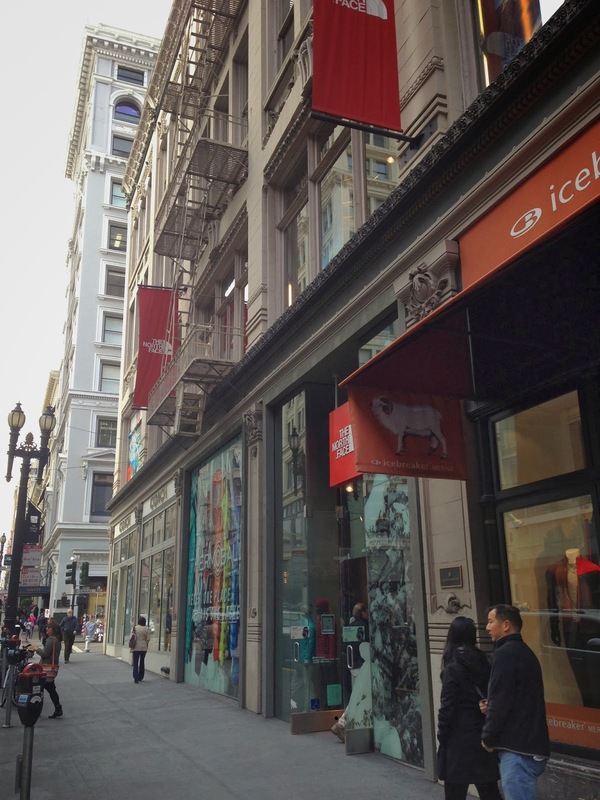 I began walking toward Columbus Avenue and called Michelle for help since she had a computer in front of her and my phone was almost dead. I knew it was important to get a decent amount of calories in my body especially because I had only snacked throughout the day on things I brought with me but knew the walk would come back to bite me the next day. I had already decided when booking the tour for Alcatraz that spending the day touring around rather than with my feet up would put me at a disadvantage but justified it to myself by saying, “when’s the next time I’ll be in San Francisco.” In total, I probably walked between 4-5 miles including the walk to and from the pier and looking for food and walking up and down Columbus Street. Eventually, I settled on Trattoria Contadina and enjoyed THE best meatballs and spaghetti I’ve ever eaten. Amazing! With my belly full, I made the chilly walk back to my rental car so that I could drive over to the headlands. One lesson learned and perhaps a lack of foresight on my part was the need to pack/bring/pick up everything I need to eat for race morning. I should’ve done this on the way to the headlands but failed to consider not having food available at the hostel and wound up relying on the Clif Bar, dates, and fig bar I had in my bag the next morning for race day food. 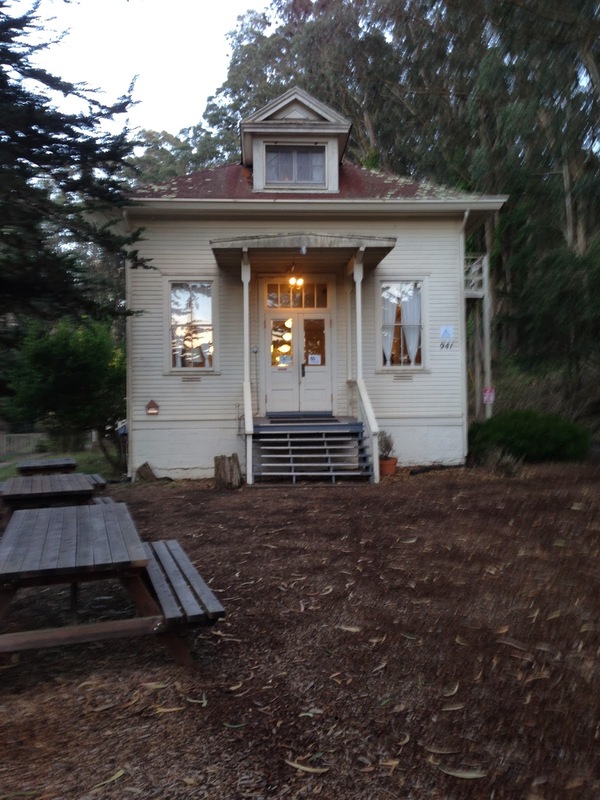 The hostel was simply amazing! 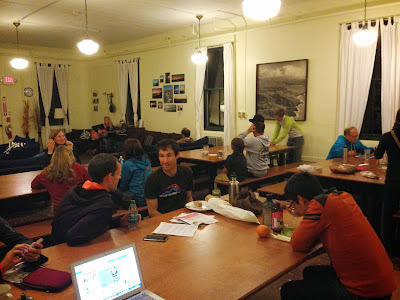 The large common room provided an area for everyone to gather and discuss their experiences from past years and gave me the opportunity to meet lots of folks who were running the 50 miler as well as the 50k the following day. 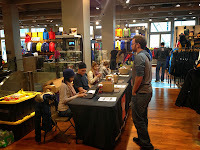 I the opportunity to meet Gerad Dean (black t-shirt in the photo below), race director of Headwaters Ultra, who ran a 7:44 the following day and took 28th overall. Interestingly, the hostel used to be a hospital back in the early 20th century. Eventually, I turned in for the night ready to take on the Marin Headlands the following day! 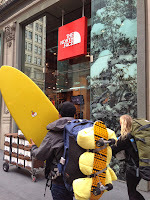 Posted by Unknown at 9:03 AM , Links to this post , 1 comments I'm reading from MyDailyGround: Day 1: Alcatraz - The North Face Endurance Championship San Francisco, CA Tweet this! The end of my 2013 race calendar is HERE …not that I’m excited or anything. 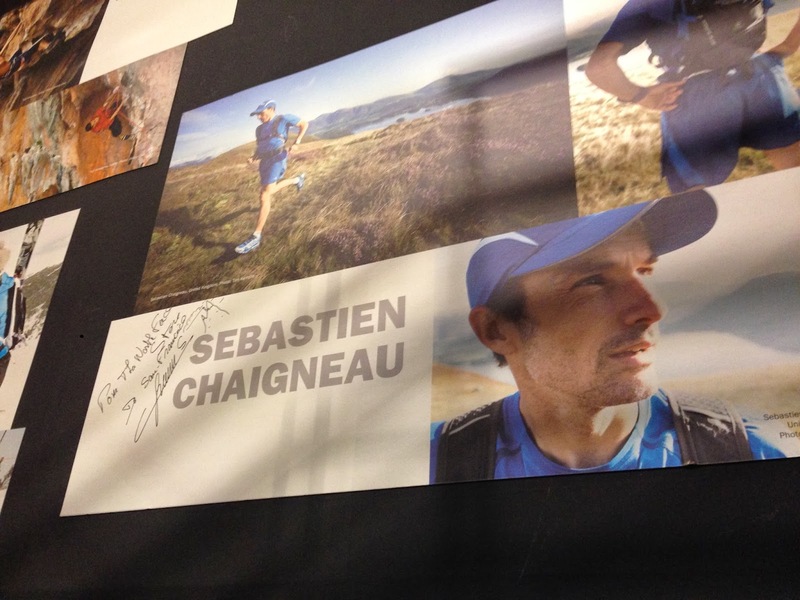 It has been a stellar year of running and racing and I can’t think of a more appropriate culminating race than the North Face Endurance Challenge Championship in San Francisco, CA. I actually considered racing this race last year but the race weekend fell on Michelle’s (actual) birthday and I knew that was no-no, or rather was told that it was a no-no, (not that going this year is much better because I’m missing the weekend after her birthday). I’ve been looking forward to this race since July when an individual from the North Face Endurance Challenge series contacted me about a blog partnership. I described in my post announcing the partnership that both the Georgia and Wisconsin races conflicted with my schedule for various reasons but the California championship aligned well with the end of the semester providing the perfect opportunity to compete in my first destination race! As a student, when I began planning the logistics of a destination race, specifically arranging a hotel and transportation, cost was of the utmost importance. 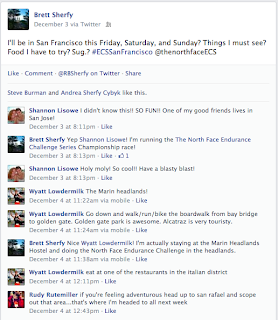 I can’t recall exactly how I stumbled upon the Marin Headlands Hostel, possibly a race review from a previous year (??? ), but at $28 a night (8 bed mixed dorm) I knew I would be hard pressed to find a better deal or a more convenient location for a race start. With lodging secured, I began considering transportation while in San Francisco and looked into the cost of renting a car for the 2.5 days I was scheduled to be there. I. Was. Shocked. I suppose my idea of reasonable rental rate was skewed because of my time at Siemens, who apparently has a very good corporate contract, because what I recall for daily rental cost of a vehicle was significantly different than what I found when looking. After talking with Michelle’s parents who had traveled to San Francisco, I decided I would embrace navigating the public transit system as an adventure! With my race entry comped as a North Face Endurance Challenge blogger, the only remaining logistic consideration was a flight. 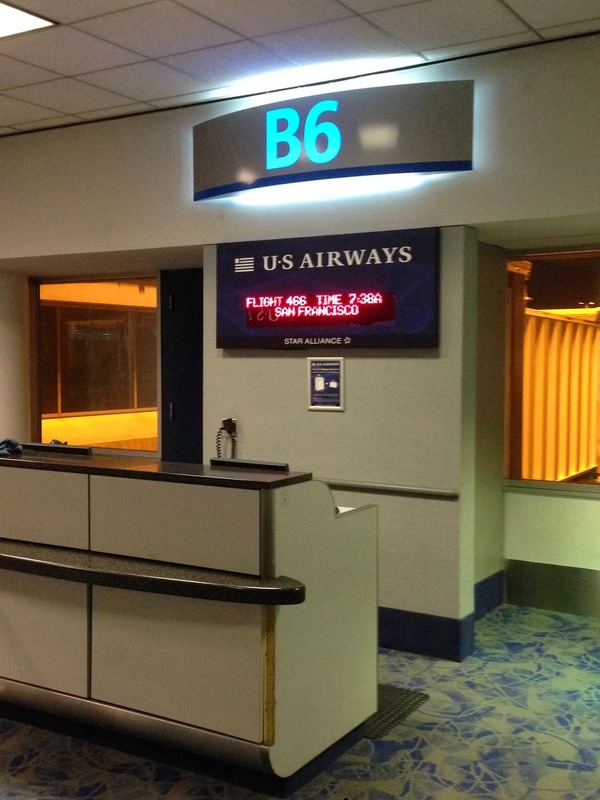 I was fortunate to have accrued enough frequently flier miles while working at Siemens to have enough for a cross-country round-trip. Thus, my flight for all intensive purposes was free aside from the booking fee and taxes ($32.50) and the $17 travel insurance…just in case I got injured or something came up. Fast forward to this past Tuesday when I began looking into getting around town via public transit (read: FREAKING OUT!) 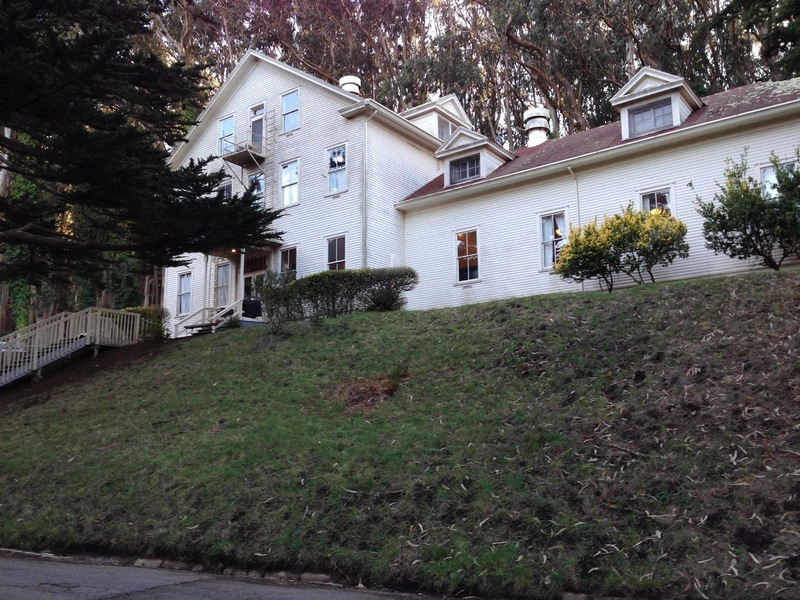 and more importantly to my hostel in the Marin Headlands. 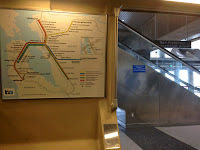 After some investigating, there is a bus that runs out to the headlands from downtown but only on Saturdays and Sundays, and even then not early enough to be convenient. There are some other options for transportation from the airport to the Marin Headlands, like the Marin Door-to-Door, but the cost is at least $40 one-way and cab fares were comparable. 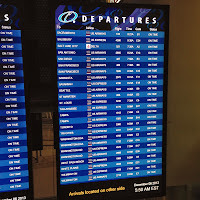 I recalled Michelle’s dad, Marvin, mentioning that rental cars are always significantly cheaper away from the airport and decided to check…just in case there was something that fit into my budget for the race. After some debating, I decided on renting a car from downtown, which was half the cost of renting at the airport and ultimately gave me more freedom to explore the town for about the same cost as cabbing/using the Marin Door-to-Door. 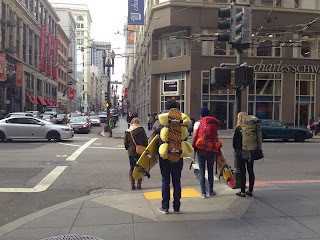 Because this was my first trip to San Francisco and California for that matter, I solicited advice via social media for what I should or “must” do with my limited time there. On Wednesday, I purchased a pass to check out Alcatraz via Alcatraz Cruises on Friday (only two days later), which apparently is typically sold out weeks in advance. Traveling off-season certainly has its advantages! I opted for the latest ferry offered, 1:35PM, to allow for time traveling from the airport/packet pickup at the North Face Store/picking up the rental car. I left Blacksburg at 1:30PM on Thursday for Charlotte and made quick time arriving a little after four including a quick stop at Earth Fare in hopes of finding California Route, a limited release organic collaborating beer between New Belgium Brewing and Patagonia…yes the clothing manufacturer Patagonia. Success! The Beer is a one-time run to celebrate Patagonia’s 40th anniversary and is particularly difficult to find because it is only sold at organic food stores. I LOVE social media, and I mean like mushy-gushy give me a barf bag type of love, and Patagonia and New Belgium decided to use the hashtag #FindTheRoute to allow folks locate the beer. I began searching while I was at home for Thanksgiving but turned up empty handed. Knowing that I would be traveling later that afternoon, I used New Belgium’s beer finder to see if I would pass any stores that still had some and sure enough Earth Fare just north of Charlotte did! Kicking off the trip to an awesome start! Perhaps a good omen? I continued south and made one more quick pit-stop at Central Coffee (oh how I miss thee!) for a Central Shorty before meeting up with my friend Mike who was kind enough to let me crash at his place for the night! Thank again Mike! 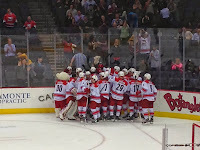 Mike sent me a text earlier in the day asking if I would be interested in going to the Charlotte Checkers (Charlotte based AHL team) game in town that evening to which I replied “Sure, why not?” Tickets were super reasonable and we were able to meet up with my friend Tim who I hadn’t seen since leaving Siemens and spent the evening catching up! The hockey game was pretty boring, aside from a fan (sitting four maybe five rows in front of us) getting taken away on a stretcher after being hit by a stray puck. Yikes!!! 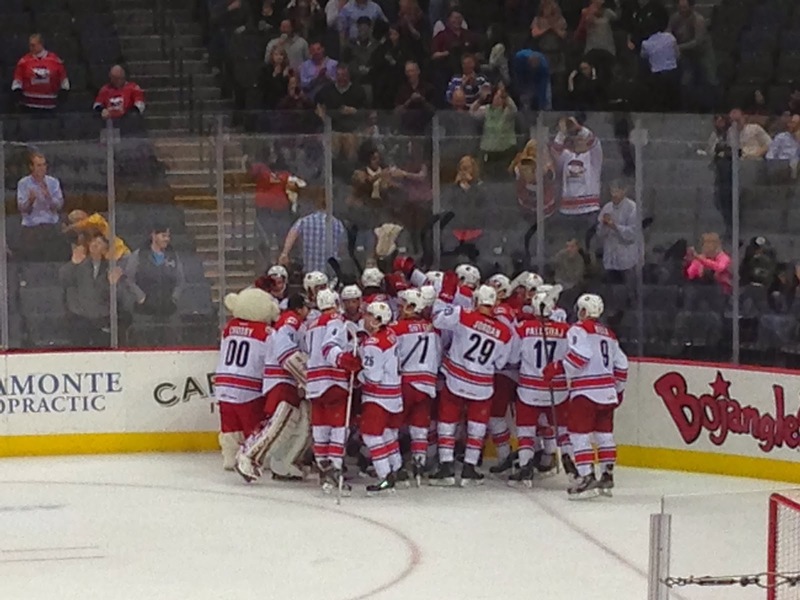 However, the ending was pretty awesome with the Checkers winning in sudden death! 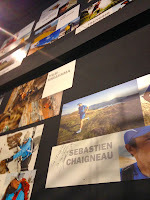 Finally, to the meat of this post: What do you need to know about the North Face Endurance Challenge? Foremost, there has been copious amounts of chatter about the uber competitive elite field racing the 50 mile event (see any of the handful of articles below). There’s “big” money up for grab and hence it’ll be an epic testosterone showdown of who’s got the biggest cahoneys (I say “big” because it’s big for ultrarunning). I completed the IRunFar.com poll for top 5 men and women finishers but one of picks, Sage Canaday, has scratched because of the flu. Bummer! I’m running the 50k #SoGlad which kicks off at 7AM Saturday December 7th, two hours after the elite field. 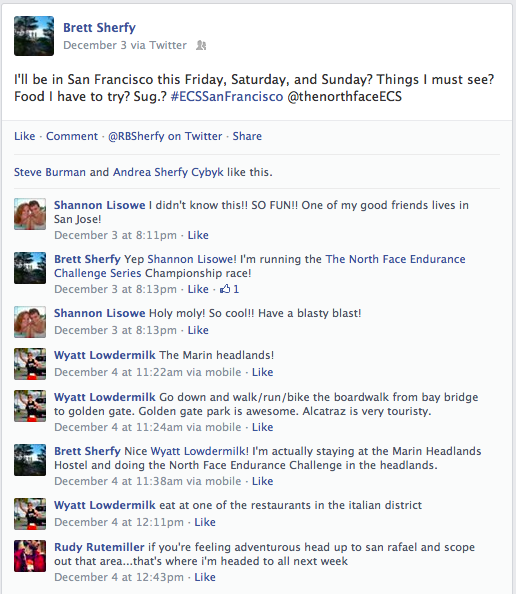 I’m so excited to take in the gorgeous views and experience running in the Marin Headlands. UltraRunningLive.TV put together the below six-minute video about the 50-mile course highlighting some of the beautiful views the 50-mile competitors will enjoy. 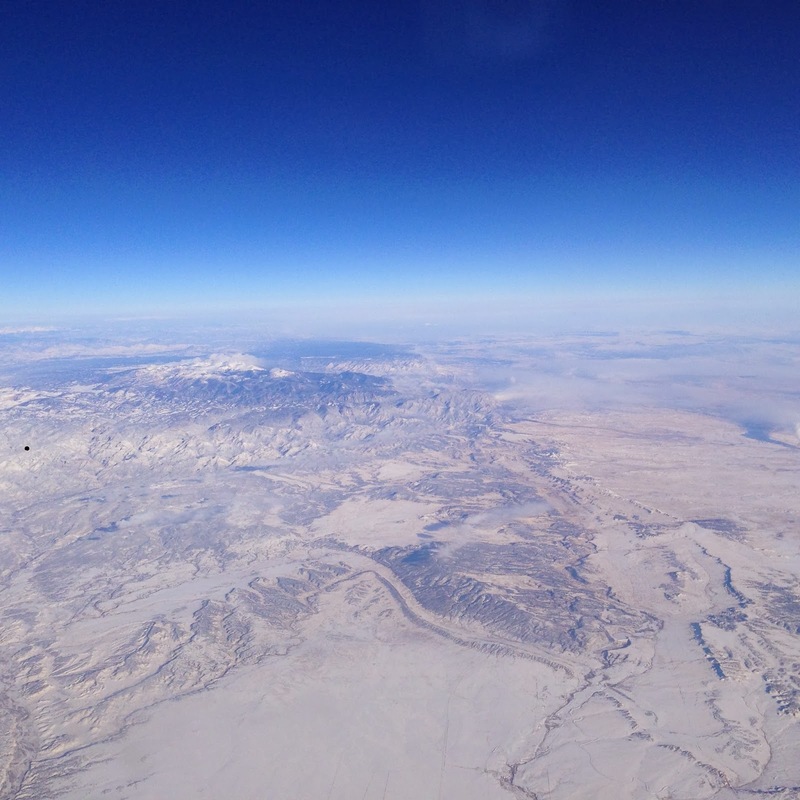 While I’m not running the 50-mile event, I hope that we experience some of the same breathtaking views, check it out! Finally, SUPER EXCITING NEWS! The race will be available to live stream via UltraSportsLive.TV SUPER NEAT! Tune in and perhaps you’ll get a glimpse of me suffering! I plan to post more as the weekend unfolds, but for now I'm headed to be because even though it's only 9PM here, I've been up for 20 hours east coast time! 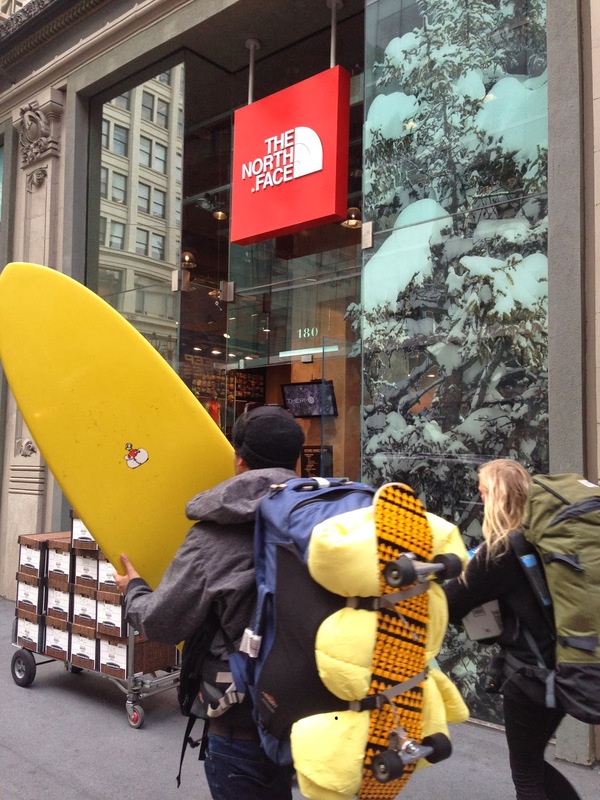 Posted by Unknown at 9:05 PM , Links to this post , 0 comments I'm reading from MyDailyGround: Pre-race report North Face Endurance Challenge Tweet this!